Canvas & Stretcher Bars started up in 2007, with only a garage full of stock; now we are one of the leading suppliers of inkjet canvas and canvas stretcher bars in the UK. Our product base, much like the company itself, has expanded from inkjet canvas and stretcher bars and now includes a range of products such as inkjet wallpaper, canvas varnish, exhibition stands and even an extensive range of dye sublimation blanks, printers, ink and associated products. Based near Carlisle in Cumbria, our 13,000 square foot warehouse is full of products, ensuring we are able to supply you with your required inkjet media, sublimation coated mugs or stretcher bars for canvas framing whenever you need them. We are able to offer a great next day delivery service to most of mainland UK using several couriers, so we can get you the best delivery costs possible; we aim to get your items to you quickly and efficiently, without bloated shipping charges. 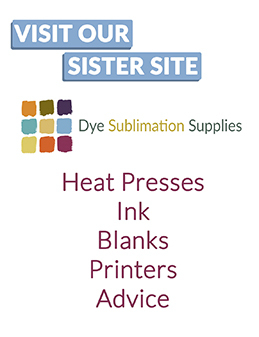 We’re always on hand to offer advice and support to anyone wishing to find out more about hand-stretching a canvas, hanging inkjet wallpaper or sublimation printing. As a small team, we work closely together to learn different tips, skills and tricks to help you on your photo canvas or personalised product journey.